Meet Angela & Nick, two angels embroiled in an exciting board game entitled The Trials of Love. As the two play, the game comes to life and shares the story of four couples. 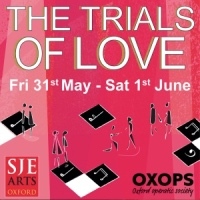 Featuring musical numbers from The Phantom of the Opera, La Traviata, West Side Story and The Merry Widow, The Trials of Love will take audiences on a journey to turbulent ends, featuring wonderful company numbers along the way! 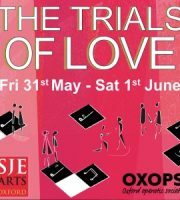 Performances Friday 31st May at 7.30pm and Saturday 1st June at 2.30pm and 7.30pm.